You don't buy a car on whim. It's usually a big expenditure. Many people don't just spend that much money just like that. It's something that you should think about for a while. Especially if you don't have the money for a car and you're considering taking a loan for buying a car. Even better is to not buy a car altogether. During the buying process car dealers like to mention the possibility of loans, or you might have seen the brochure. 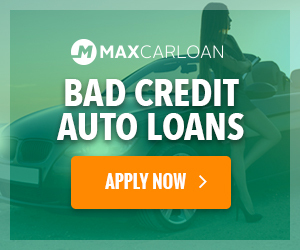 You can borrow money through car dealers and often enough cars are advertised like that. Buying a car on credit is often not the best choice. Monthly prices might not seem so high but there are several other options that can be cheaper or simply better. One of the disadvantages of borrowing money for a car through your car dealer is that the credit supplier can use your car registration as a security. This is then used as collateral for the loan. This also means that you can't just sell the car. Technically you are stuck with your car until you have paid off your loan. This is often the case when you go for a "hire purchase" but with some credit suppliers this is the normal way to do it when paying off. If you really insist on getting a loan for purchasing a car it's advisable to check the different options. It's often cheaper to not get a loan through your car dealer, without collateral. It's wiser to arrange the loan yourself or at least compare all possibilities for getting credit and compare the risks. A mortgage usually has proper collateral so it's often considered the cheapest form of borrowing, it might be an option for you to increase your mortgage. Personal loan with fixed installments and a fixed interest rate. This is often the best option since you know exactly what you're up to. Revolving credits can provide more flexibility. Interest is variable, it can change, but you're also allowed to pay off your debt earlier without any "fines". It also makes it easy to borrow more in case you need it, but that's mostly a con disguised as a pro. There are some alternatives to getting a car loan. You can consider buying a cheaper car or a second hand car. Like this you might be able to pay up front yourself. Besides that it's also a nice to first save money before buying a car. It's always better to save than to pay off debt (and interest). Finally you can also choose to use more public transport, or a bicycle. It's even possible to hitchhike. The latter is exciting and adventurous. And have you already considering sharing a car?